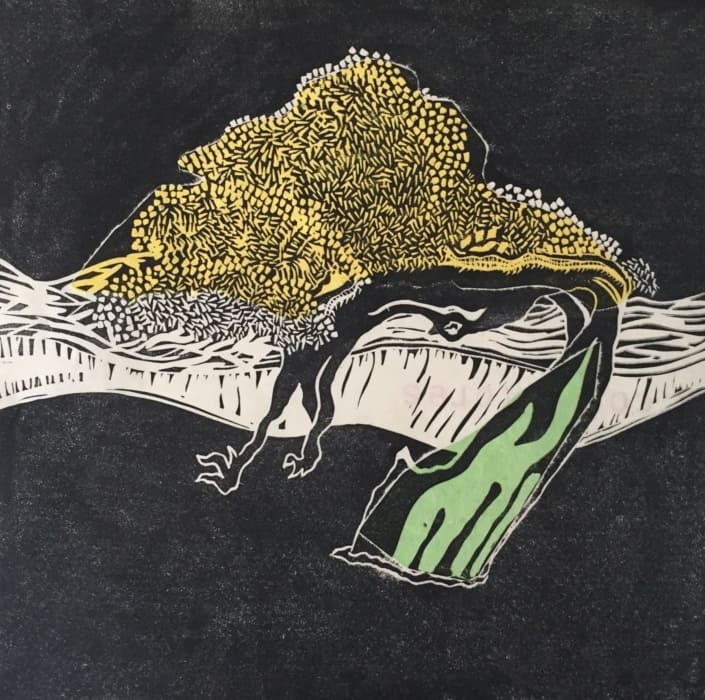 This class is the follow-up workshop to Intro to Relief Printmaking. This session involves a sequence of printing and cutting from a single block in order to produce an edition of multiple color prints. Designs will be carefully planned out according to the number of colors that students plan on using. An E-Z cut printing plate will be used along with carving tools. Various cutting blocks will also be discussed. Students will create their own original design on paper. They will also learn how to carve distinct areas in their design where a different color will be applied. This is the ideal workshop for those who would like to enhance their relief printmaking skills. Practicing his craft for many years has taken this artist to many heights with many groups and solo exhibitions in the U.S. and abroad. Mr. Baez has studied printmaking at the School for Visual Arts in New York and local print shops in Miami. The likes of relief printmaking via linocuts, woodcuts, and gel prints is a deep passion of his, as well as intaglio printmaking.